1. 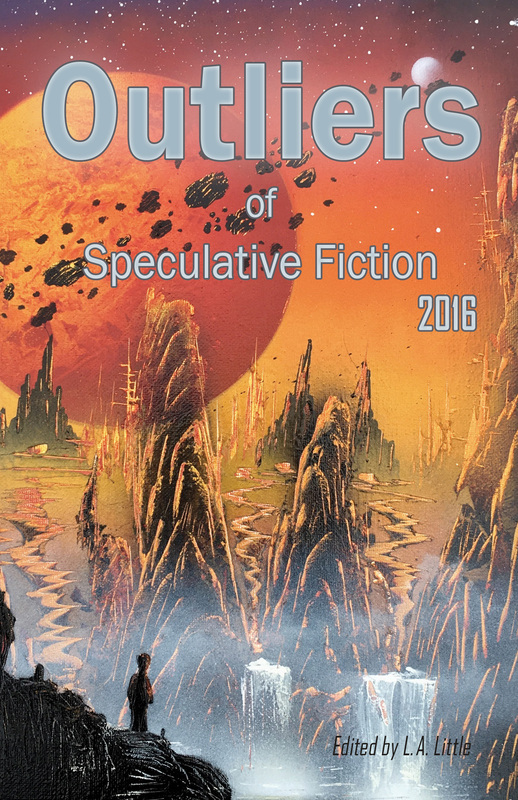 Outliers 2016 is out and it’s pretty great! There are 11 stories by 9 talented authors and me. Get it here! It includes great, fairly well known authors like Alex Shvartsman , David Wright, Kelly Dwyer, and Tim Jeffrys as well as up and comers like Rebecca DeVendra and A.C. Macklin. There’s something here for every speculative fiction fan.This project was a bear, mostly because of the aforementioned frickin’ busy, but a lot of great authors submitted and put up with me being unusually slow to get things done. The stories range from horror to fantasy to sci-fi and they have a range of moods from adventurous to thoughtful to trippy and lots in between. Definitely check it out and support these talented, up and coming and established, authors. 2. I’m a partner in Brink Records and we’ve been getting our third and fourth releases out as we roll toward our second anniversary. The company has been expanding like mad this year. We’ve rolled my writing efforts in to the record company as a new publishing division which is doing really well. Outliers 2016 was the first release for that part of the company and we have several releases planned for 2017. It’s a weird mix of spec fiction, rock history and maybe a sports book or two thrown in. As with the music we’re looking for something special regardless of genre. We also dipped our toes into video production for the first time. The year included 3 music releases. The first was a single that went on to be our second most successful release to date. The second (cover at right) dropped on the same day as Outliers 2016 and is on track to be the most successful thing we’ve ever done. Check that out here! It’s also available on Spotify, Amazon, wherever. The third release ran behind and won’t actually hit the streets and web until late January, but the quality is woth the wait–a terrific pop artist from London called Latala. This is she. There was a huge concert that didn’t happen and another that did, both were big learning experiences. We began delving into other realms of media and expect to release some of that experimentation later this year. We edited our first video from someone else’s footage in May and that’s gone on to be pretty successful. I directed my first video which was a wild, weird, wonderful experience that I hope to repeat soon and often. We also filmed a concert for the first time and that’s being edited even now. And that’s just the stuff I remember off the top of my head! 3. Outliers 2017 opens for submissions on MARCH 1, 2017. I’m aiming once again to get it out for Halloween. That didn’t work out so great this year, but I’m going to give it another shot! 4. We’re starting a new anthology this year tentatively entitled The Uncanny Valley. As you probably guessed, it’s about androids and robots and that weird place where that aren’t so robotic as to be completely other, nor are they so human as to fool us. They’re just human enough to creep us out. That’s the Uncanny Valley and those are the stories I’m look for. Submissions open now and I hope to have enough good stories to put the book out by year end! 5. Submit stories to AuthorLALittle(at)gmail(dot)com! 6. Other than that I’m still at the day job, the record company has a lot on its plate for the coming year including delving into other media, and I plan to write, write, write! Thanks for checking out the blog! Make 2017 your year! ← OUTLIERS DEADLINE EXTENDED TO SEPTEMBER 30! SUBMIT NOW!